How a washed-up lobbyist built a charter school empire and siphoned millions from public schools. 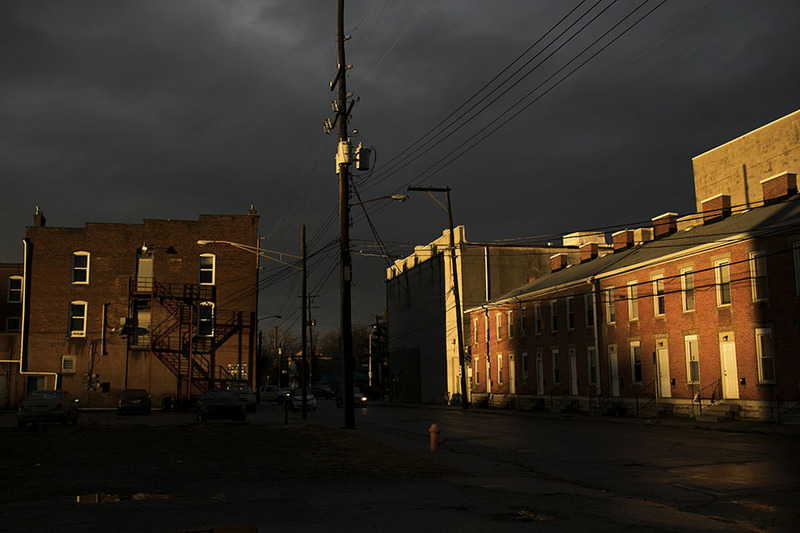 The west side of Columbus, Ohio, is a flat expanse of one-story houses, grimy convenience stores, and dark barrooms, and William Lager, in his business wear, cut an unusual figure at the Waffle House on Wilson Road. Every day, almost without fail, he took a seat in a booth, ordered his bottomless coffee, and set to work. Some days he sat for hours, so long that he’d outlast waitress Chandra Filichia’s seven-hour shift and stay on late into the night, making plans and scribbling them down on napkins. The dreams on the napkins seemed impossibly grandiose: He wanted to create a school unlike anything that existed, a K-12 charter school where the learning and teaching would be done online, and that would give tens of thousands of students an alternative to traditional public schools across the state. It would offer them unheard of flexibility—a teen mom could stay with her child and study, while a kid worried about being bullied could complete lessons at home. And it would be radically cheaper than a traditional classroom, since there would be no buildings to maintain, no teachers’ unions to bargain with. At the time—the late 1990s—it was a revolutionary idea. Lager called it, in the heady days when the internet seemed to promise a solution to every problem, the Electronic Classroom of Tomorrow. 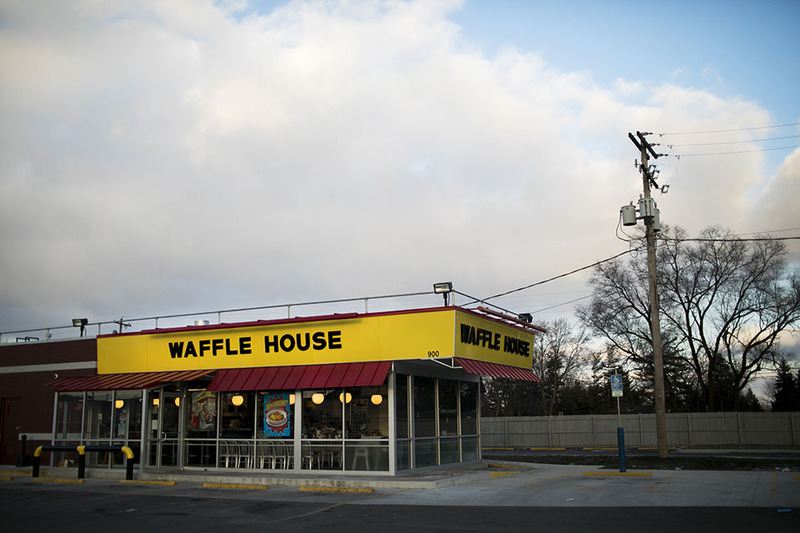 Bill Lager first began scribbling plans for his online-only public school on napkins while nursing a bottomless cup of coffee at this Waffle House. In January, after 17 years of operation, the school came to a spectacular end. (Lager and ECOT officials did not reply to repeated requests for comment.) Despite years of critics raising concerns similar to Filichia’s, the school’s demise happened quickly, after two Ohio Department of Education reviews from 2016 and 2017 found that ECOT had overbilled taxpayers by $80 million for thousands of students it couldn’t show were meeting the department’s enrollment standards. As a result, the state ordered the school to begin paying back almost $4 million per month in school funds, which ECOT claimed it was unable to do. Worried that ECOT wouldn’t have the funds to last out the year, the school’s charter sponsor, the Educational Service Center of Lake Erie West, suddenly announced plans to drop the school. Many of ECOT’s 12,000 students learned on the nightly news or read in newspapers that unless an emergency deal could be worked out, the institution was in imminent danger of folding, leaving many parents confused and panicking with only days to choose a new school and get their child enrolled. The drama reached its climax on January 18. The board members of Lake Erie West held a public meeting in Toledo to vote. About 40 parents and teachers, some of them breaking down in tears, reportedly showed up. “If this is really about our children,” one parent, Lisa Burford, said, “I hope that you consider our children.” Burford explained that her daughter, who is deaf, had struggled with Toledo’s traditional schools and had been better off in ECOT’s online program, from which she was scheduled to graduate in May. 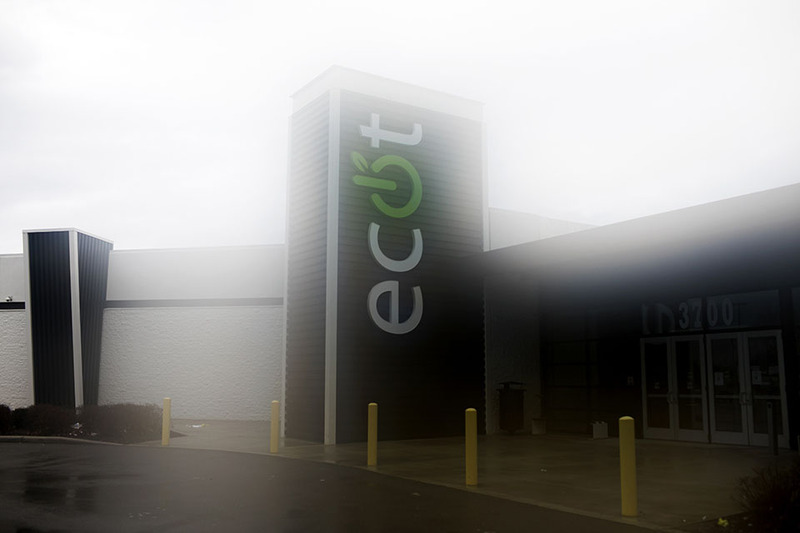 ECOT had long been troubled—it had a graduation rate of just 40 percent and produced more dropouts than any other school in the nation, according to an investigation by the New York Times. But for some, it was a school of last resort, and now that last resort was about to vanish. All three board members voted to withdraw their sponsorship of ECOT, effectively shuttering the school immediately. The decision cast doubt over whether Burford’s daughter and thousands like her would be able to graduate this year. But it also cast doubt over why Lager’s troubled school had been allowed to operate so long, and why it had been given almost $1 billion in taxpayer money that would otherwise have gone to local school districts. 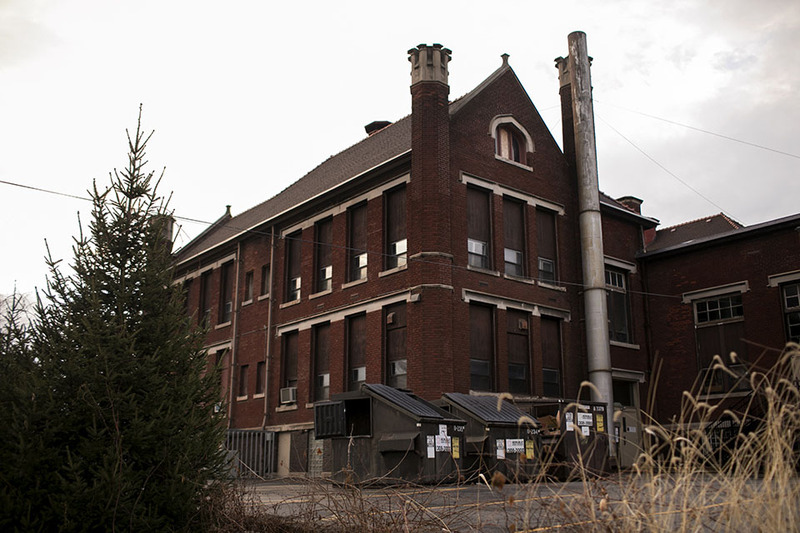 Lager grew up poor, in an area of Columbus’ west side called the Bottoms—so-called “partially because it was in a flood plane (sic),” he would later write in a self-published book about the founding of ECOT, “and partially because the name fit.” His blue-collar parents had met in a factory when the state was still an industrial powerhouse and sent their kids to Catholic schools, where Lager excelled. He was elected class president all four years of high school before going on to Ohio State University. 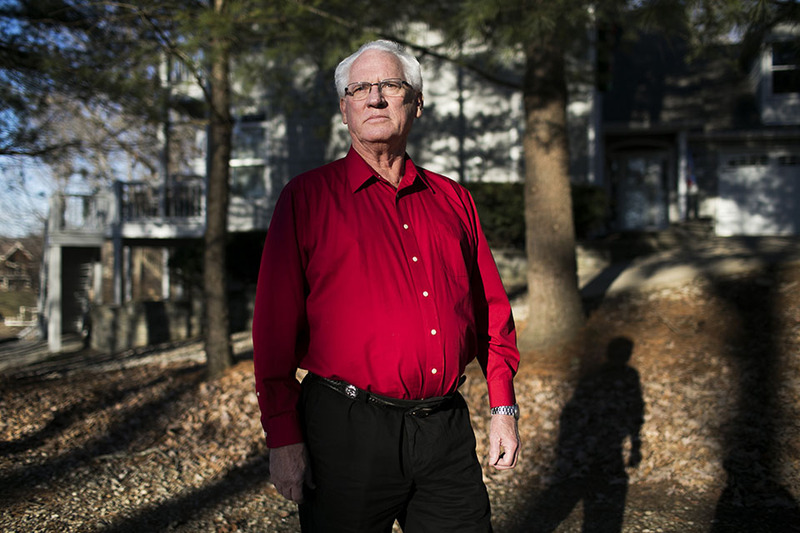 He dropped out of college to join the Coast Guard Reserve during the Vietnam War and later returned to Ohio, hoping to run for office. But after family tragedy struck, he ditched politics and, in his early 20s, started an office-supply company that by his account had a few good years before eventually falling into debt. He filed for corporate bankruptcy and bounced around through a series of jobs as a lobbyist, an executive director of a nonprofit, and a salesman offering office supplies to state agencies. He went through a divorce and custody battle and eventually arrived at his lonely perch in the booth of the Waffle House on Wilson Road. Lager, at this point about 50, may have been broke, but he had made a few good connections over the years. And he had a model: David Brennan, the first of Ohio’s charter school barons. Brennan, an Akron-based entrepreneur and a prominent GOP donor, earned millions of dollars “buying and selling manufacturing companies, slashing operating costs, and turning profits,” according to a 1999 article in the Akron Beacon Journal. He wore a white cowboy hat, a symbol of his noble intentions. At the time, during the George H.W. Bush administration, the idea of a decentralized, privately run but publicly funded system of schools was just taking hold in national Republican circles. When Brennan threw a GOP fundraiser attended by Bush in 1990, it sparked an alliance with George Voinovich, a former Cleveland mayor and soon-to-be governor who bonded with Brennan over a shared vision of making Ohio a national experiment in privatizing education. In 1994, Brennan raised almost $1 million to help Republicans gain control of the state Legislature, and Voinovich won reelection. Brennan’s schools spread across the country, eventually totaling more than 50 facilities. But Ohio was especially open to innovation, and Brennan set the course for a massive expansion of the state’s charter system, leading some people to call it the “wild, wild West” of charters. Lager decided to do Brennan one better—by getting rid of the need for brick-and-mortar facilities almost entirely. He began attending seminars offered by the Ohio Department of Education to help entrepreneurs through the process of applying for a charter. The department was initially skeptical of Lager’s idea, but he convinced the head of a Toledo-area agency that provided educational materials to public schools, the Lucas County Educational Service Center, to sponsor him. (In Ohio, charters need an agency sponsor, which can be a wide range of nonprofits, school districts, or universities, and which will take responsibility for monitoring the schools’ performance—while also sustaining itself at least in part on fees paid by the charters.) Lucas County ESC—since renamed Lake Erie West—would eventually receive $1.5 million a year in fees from ECOT, according to the Plain Dealer. “At that time,” Filichia remembers, Lager was “so broke” that he “borrowed my grandmother’s car to even go up to Toledo” to deliver the application. To round out his administrative staff, Filichia says Lager tapped her and her family, most of whom hadn’t gone to college, and several of whom had also worked at the Waffle House—her mom, sister, two brothers, and former mother-in-law, along with four of her cousins and two of her aunts. “Pretty much just like our whole family,” she says. Lager paid Filichia and her family $5 for every student they could sign up, she says. The school would come to draw many children whose families had been homeless, who had been in trouble with the law, or who had fallen hopelessly behind in their traditional schools. A teenage newlywed and dropout with a son at home called the school after her father learned about the launch on the radio. A boy named Richard, who had dropped out in 11th grade, had failed the GED exam, and was working as a groundskeeper, heard about the school on the news. “We just basically told them about the program, and they just enrolled,” Filichia remembers. “The districts here are bad anyway,” she says. 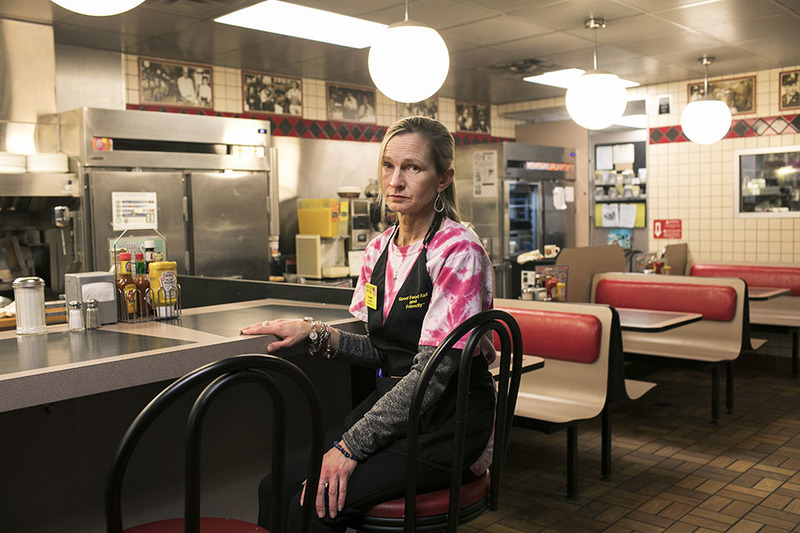 Chandra Filichia takes a break to sit in the Waffle House where she works in Columbus. Lager hired Filichia to work as an ECOT registrar. Free computers, which Lager sourced via Compaq, were a big selling point, especially for impoverished kids and their families. And Filichia believed in the school’s mission. Her younger half-brother, then a second-grader, Corey Messer, was one of the very first enrollees. It soon became obvious there were problems. Jim Petro, then the state auditor, issued a brutal assessment of the school’s first year, finding that “ECOT did not have any written policies or procedures for enrolling students,” that it exhibited an “inability to provide computers to students at the beginning of the school year,” and that in two months there were “106 instances in which the reported student was either less than 5 years old or greater than 21 years old, contrary to legislated age requirements.” It also found that the school received almost $1 million in the month of September 2000 as payment for the students it claimed to be educating, although that month “only 7 students logged-in to one of the available computer-based instruction systems.” In other words, during the first month of operations, only about 1 of every 300 ECOT students managed to access Lager’s revolutionary new online education program. Astonishingly, and despite the auditor’s conclusion that the school was paid an additional $1 million the following month for students it couldn’t account for, ECOT was allowed to carry on. By 2006, ECOT was growing into a behemoth, and Lager was growing rich. His private companies eventually billed ECOT for at least $153 million, most of it taxpayer dollars. These companies were largely insulated from state oversight. In 2002, a law put forth by Republican legislators had given oversight authority of certain charter schools to chartering agencies, like Lucas County ESC, which were left largely responsible for monitoring the schools that paid them. Charter management companies like Altair weren’t—and still aren’t—required to report what percentage of the state funds they received was paid out in individual salaries. But two early state audits show that at least in the first two years of ECOT’s operation, more than $1 million in fees paid to Altair went to Lager personally. In one instance reported by the Akron Beacon Journal in 2006, Lager gave $10,000 over a four-day period to the gubernatorial campaign of the former auditor, Jim Petro, who had since been elected as the state’s attorney general. Four ECOT or Altair employees, along with their spouses, each donated $5,000 to Petro during the same four-day span—totaling at least $50,000 from ECOT and Altair staff during a primary campaign. One couple that contributed $24,500 had never donated to a state or federal campaign until that year. Petro lost but remained the attorney general. And soon, despite his lacerating assessment of ECOT’s first year, he gave the commencement address at the school’s 2006 graduation ceremony. Some critics suspect Lager was trying to buy favorable policies for ECOT. Whether or not that was the case, the state certainly took an incredibly hands-off approach toward its oversight of the school. According to Ohio law, charter schools are required to provide students with at least 920 hours of “learning opportunities” per year—about 25 hours a week—and those who miss 105 consecutive hours have to be kicked off a school’s rolls and potentially face truancy proceedings. But under an agreement negotiated with the Department of Education in 2003, ECOT wasn’t required to track hourly coursework—it simply counted students as properly enrolled as long as they logged into a computer at least once every 30 days. ECOT administrators, in other words, interpreted the law to mean that they only had to show a student could potentially have completed 920 hours of learning time, without the school being required to track it. ECOT’s deputy superintendent argued in a deposition that the school ought to receive full funding for a student if the student logged on for only a single minute every month—just frequently enough to avoid truancy proceedings. “I believe that if ECOT has made the educational opportunity available,” he said, “that we should be fully funded.” Until 2016, the Ohio Department of Education didn’t push back. The Newark attendance officer filed truancy charges in that case, according to the letter, and truancy charges would eventually be brought to bear on as many as 1,200 ECOT families every year. That year, ECOT received $366,149 from Newark City Schools and nearly $40 million from the Ohio Department of Education overall. ECOT had reported a 100 percent attendance rate for its roughly 6,700 students on state documents. “That obviously doesn’t sound right,” admitted a spokesman to Education Week. I met Richards, now retired, at a Cracker Barrel north of Columbus. He handed me a copy of the letter and a year-by-year accounting of all the money the district had sent to ECOT, an average of about $350,000 annually from 2002 to 2016, in a district of only about 7,000 students. I asked what it was like as an administrator to lose that much money. “We actually broke that down,” he said. “And we’re talking about four teachers [for each of those years]. We’re talking about whether we have aides for special-needs kids. If the results of e-learning were mixed, ECOT’s business model was an unmitigated financial success for Lager and the company. A year after Bush’s visit, ECOT had expanded its little strip mall office into a massive, gleaming headquarters. The school now employed more than 500 teachers and had grown by 1,800 students from the previous academic year. Filichia—divorced and raising two kids—had signed on dreaming of a six-figure salary and a professional career of a kind she’d never considered possible before she met Lager. But she found herself still working on and off at the Waffle House to make ends meet, even as she registered thousands of new students and watched Lager, whom she once pitied, host figures like Bush at the school’s commencement events. She says she took dozens of calls a day from anxious students. I spoke with another parent, a divorced mother of two in an upper-middle-class suburb of Cleveland, who chose ECOT for her kids after she lost her job and moved out of her district and her plan to enroll her children in their old high school fell through. She described the lessons her kids completed as comically simple and said that even though she made sure they logged in and did their work regularly, the quality of the instruction was so poor they lost a semester. The school was still subject to state requirements and testing, but it reported, like all charters in Ohio, to its charter sponsor, which monitored its performance. She eventually rented a second home in their former school district, in large part to get her kids out of ECOT. “It would not matter,” Forster answered. Students, in fact, weren’t required to participate in online classroom learning at all, according to another ECOT official’s testimony regarding the 2015-16 school year. (Educational requirements could be satisfied through field trips or homework.) Filichia’s half-brother, Corey Messer, one of the school’s early enrollees, recalls school officials logging learning time for him when he hadn’t done classwork, a practice Filichia also remembers. Messer, who suffered a stroke at birth and still struggles with the aftereffects, says he seldom did schoolwork. Only in recent months have Ohio politicians begun to distance themselves from the school. Last August, the state Republican Party returned $38,000 in donations from Lager and another $38,000 from his lieutenant at Altair, Melissa Vasil. Yost put Lager on warning in January by publicly suggesting that the ECOT founder, who over the years has purchased a $3.7 million home in Key West, Florida, along with a lakeside retreat and properties around Columbus, could be expected to personally repay some of the tens of millions of dollars ECOT owes the state. A few days later, a framed photo of Yost was reportedly removed without explanation from the lobby at ECOT’s headquarters. “I don’t think there’s any conscionable reason why Lager should make the profits that he makes off of educating kids in public schools,” a former ECOT administrator told me. He defended his accomplishments at ECOT and said that for many children he worked with, online schooling really was the best option—safer for kids who had been bullied or threatened by gangs, and more flexible for students whose families might be transient. The ECOT headquarters used to be a strip mall in Columbus, OH. But those successes came at the cost of more than $1 billion in public funding, much of it diverted from better performing Ohio schools, and at least 15 percent of that money—about $150 million—was paid to Lager’s private companies, subject to almost zero oversight or transparency. In 2017, Columbus’ public schools posted a four-year graduation rate of 74 percent. ECOT’s was 40 percent. Nevertheless, that year Columbus schools sacrificed $11 million in funding—about 3 percent of their total state allocation—to ECOT. In Ohio, taxpayers and former students will be living with the impact of the ECOT experiment for decades. Many students and parents, in fact, feel like they’ve been living with the consequences for years. “It’s too late now,” Tabatha Cruikshanks, a waitress, told me in December, referring to her daughter, Cortnee. Cruikshanks served Lager at the Waffle House way back when ECOT was still just a dream on a napkin, and when Cortnee became pregnant at 15 she enrolled at ECOT, quickly slipped through the cracks, and dropped out. Now she works with her mother as a waitress. “I know she could’ve went and did more things,” Cruikshanks told me. This text has been updated and revised.